I don’t understand why shredded paper can’t be recycled. Paper is paper. It seems fairly arbitrary and counter to the intent of recycling if you can only recycle some paper but not others. If it’s a matter of materials needing to be a certain size, then the process needs to be refined. The material should be what matters, not the size or status. It depends on how the recyclables will be sorted. It could end up just contaminating the rest of the load. Again, that speaks to a poor refining process. What “size” is an acceptable size of paper? How small can a paper be and still be considered recyclable? I get the reason why at the moment, but as I said, that reason speaks volumes to how inefficient the process is. And ultimately, it points out that recycling, for all we think it does, is really not that great of a process. If we can’t recycle based on materials rather than size or status of materials, then we’re not really achieving the goal of reusing said materials in a sustainable way. It makes it even more of a “feel good” step that doesn’t ACTUALLY help the environment. he increase in efficiency at an automated Materials Recovery Facility is the reason you can no longer recycle shredded paper in a curbside single stream program. It ends up falling out of the system with the other fines. With system you have the capacity to sort more tons of material per hour over hand sorting but lose the quality of material coming out of the system. You must weigh the pros and cons of each sorting method and choose which is the best option for the size service area, quantity of material collected, and resources available to that particular area. It has to do with the paper fiber length. 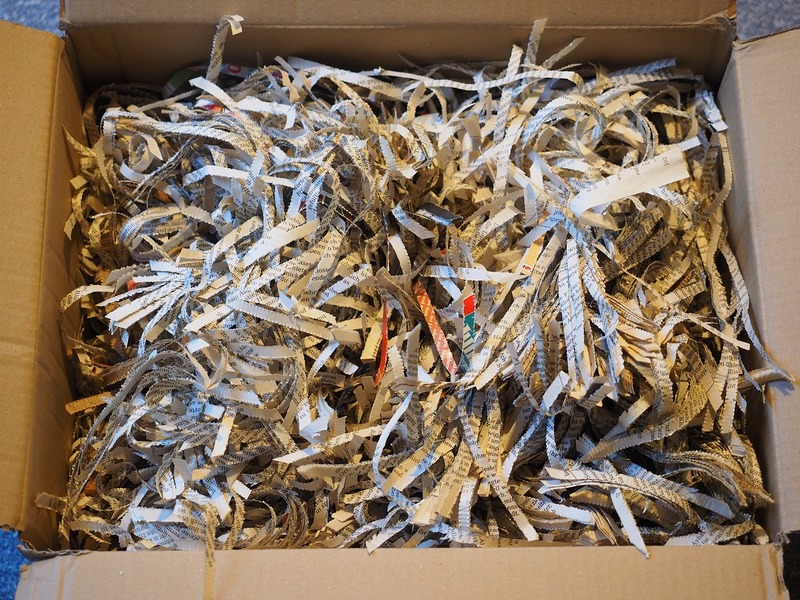 In Seattle, you can recycle shredded paper only if it’s in strips, but not if it’s cross cut. They say the cross cut shreds the paper fibers too small to be reusable. Cross cut goes in the (city collected) compost here. Shredding boxes from things people buy like basal thermometer are also an option. We’ve even seen punching bag for kids recycled.